London is famous for its markets with an abundance of food, furniture, clothes, books, flowers and so much more being at their core. 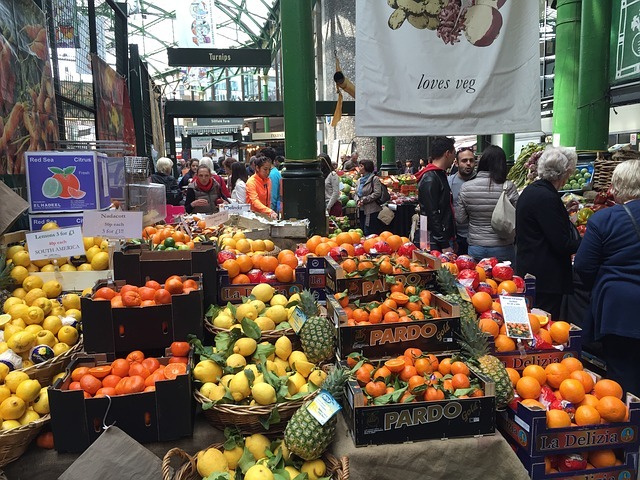 Markets exist all over London’s vast expanse but the Sunday markets are a wonderful experience for people as it gives a really nice relaxed atmosphere for visitors plus there is so much on offer in terms of what you can buy and you might be lucky enough to bag a bargain! So where should you go to find these treasure troves? London Sunday Markets You Need to Visit! This is a small but popular market best known for its fresh produce and baked goods; in fact it houses some of London’s finest purveyors of food and drink with a combination of shops, stalls, pop-up bars and eateries. Popular favourites include St John Bakery’s and Monty’s Deli. This outdoor art market has been ongoing for over 50 years and sees artists laying their oil paintings, watercolours and sketches along the pathways and park railings for your perusal. Over 150 artists, some unknown and others established display their work along with some sculptures and handmade jewellery as well. This beautiful flower market has existed in the area since the 1860s and is a real visual feast. 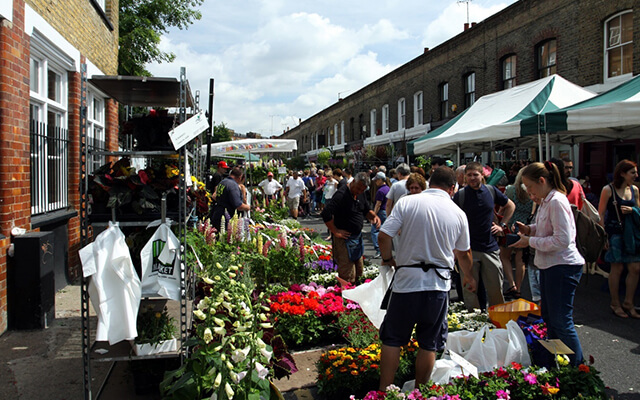 When it first began back in the day, the flowers would arrive by handcart from the market gardens of Hackney and Islington, and pitches within the market were claimed right then with a blow of the whistle. Today, it’s a firm London favourite and is located in London’s trendiest area. It has gained international recognition in terms of its quality of produce; a good tip to get a piece of this is to head there late in the day where you’re likely to come across sellers reduced prices. In existence since 2004, visit this market to see the wonderful display of amazing world street food, vintage clothes and accessories, homeware and arts and crafts. There are more than 140 traders and it includes well-known stalls as well as independent offerings. The Victorian Market Hall that houses this market was originally built in 1876. This historic market is a mix of traditional market traders and ethic elements. Here you will find everything from fashion to gourmet food, flowers and home wares. Bishops The architecture is worth a visit alone but you will be enthralled by the atmosphere and bustle. This clothing market which has been running since the 1750s is a good choice for cheap fashion basics. The Middlesex street part of the market is open on Sundays while the Wentworth street section is open the other six days. There are stalls with discounted surplus stock from well known high-street retailers, and you will find lots of leather goods. This market is open all during the week, but on Sundays it makes for a really nice destination spot. There are lots of choice in terms of vintage clothing as well as clubwear and gothic style outfits too. Food and drink are available though it’s not a fresh fruit and vegetable market but there are many street food options. You will also see an eclectic mixture of jewellery, art and other items that would make nice gifts. Chatsworth Road Market is located in Clapton, which is a revived area in London with this market being reopened in 2010 having originally set up back in the 1930s. It sells a wide range of goods including organic products, vintage clothing and food like slow roasted lamb. This market claims to be London’s first legitimate farmer’s market and so as you’d expect there are lots of high quality produce including fruit, vegetable and flowers on offer. There are over 30 stalls on a Sunday with a friendly atmosphere around. Sunday Market Haggling – What to Know! If you’re not looking for anything in particular but you just want a bargain of some sort, head to the market in question late in the day. For this you’ll obviously need to know their opening hours so check out our details above. If you plan on buying in bulk, say for example you want flowers for a wedding, then ask for a bulk discount. If you don’t ask you won’t receive! Be polite and know the etiquette. Some market traders will welcome haggling but others won’t engage. Try to find out before you insult someone! Our drivers are all highly knowledgeable on the London area and can give you first hand guidance on where to find the best Sunday markets and more. Why not make the day even more memorable by taking a tour of the markets by hiring one of our limos? Get in touch to discuss more!